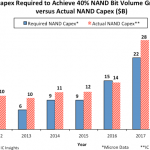 Will DRAM Prices Continue to Rise in 2017? 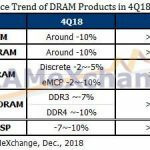 The contract price for PC DRAM is forecast to increase by more than 30 percent sequentially in the fourth quarter of 2016 due to tight supply, according to DRAMeXchange, a division of TrendForce. With tight supply expected to continue into 2017, buyers also should anticipate higher tags. 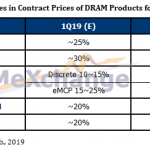 The market research firm attributes the price increase to tight supply as DRAM suppliers reduced their PC DRAM production output in favor of server and mobile DRAM production. The price hikes for PC DRAM, which started in the third quarter, also pushed up prices for mobile and server DRAMs. 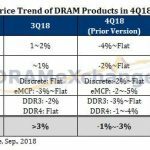 “The PC DRAM market has been severely undersupplied in the second half of 2016, and this in turn has also led to an across-the-board price upturn for all types of DRAM during the recent period,” said Avril Wu, research director of DRAMeXchange, in a statement. 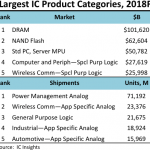 The “average contract price of 4GB PC DRAM modules increased more than 20 percent between September and October from $14.5 to $17.5 as DRAM suppliers completed their fourth-quarter contract negotiations with first-tier PC OEMs,” according to Wu. “Spot prices of DDR3 and DDR4 4Gb chips also rose 17 percent to 24 percent, respectively, in October compared with the prior month to $2.46 and $2.48 on average,” she added. As a result, suppliers saw their DRAM revenue in the third quarter of 2016 increase by 15.8 percent sequentially, according to Wu. 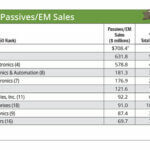 The three top suppliers in the third quarter– Samsung, SK Hynix, and Micron – all posted revenue gains. Samsung posted the highest growth in the third quarter with a sequential quarterly increase of 22.4 percent. SK Hynix recorded 8.6 percent sequential quarterly growth and Micron grew 12.6 percent sequentially. In addition, DRAM suppliers increased their operating margins in the third quarter of 2016, which is expected to continue into the fourth quarter. “Further increases in suppliers’ operating margins are expected for the fourth quarter on account of rising DRAM prices,” Wu said. However, heading into 2017, capacity expansion and technology migration is expected to be curtailed. 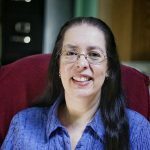 What does this mean for DRAM purchasers? It won’t be a buyers’ market in 2017.